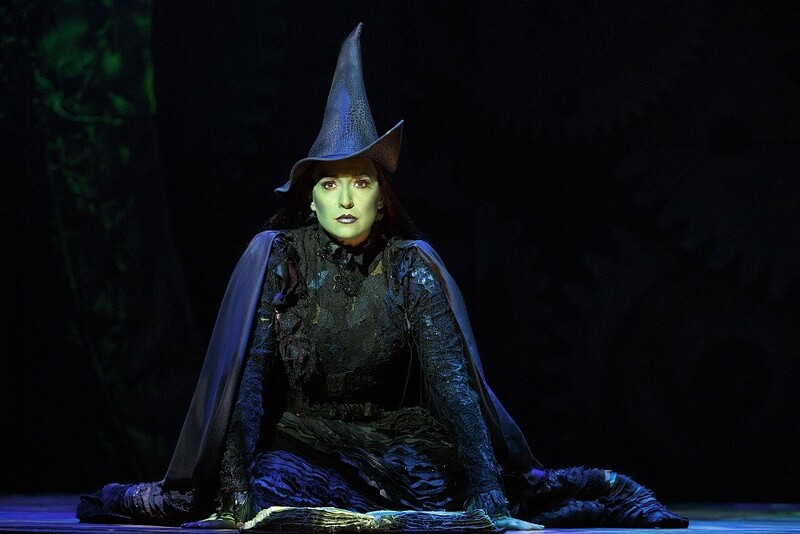 Jessica Vosk plays Elphaba in the touring production of "Wicked," now onstage at the Auditorium Theatre. Wednesday and Thursday, 7:30 p.m.; Friday, 8 p.m.; Saturday, 2 p.m. and 8 p.m.; and Sunday, 1 p.m. and 6:30 p.m. It's rare to meet a musical theater lover who hasn't seen "Wicked." It opened on Broadway in 2003, and has become the ninth longest-running musical in history, breaking box office records with weekly totals of more than a million dollars in ticket sales. Simply put, people love "Wicked." For those who haven't made the trek to New York City, the show's second national tour is onstage at the Auditorium Theatre through April 9. The leading roles of Glinda and Elphaba are still highly competitive and much sought-after among young female performers. The soundtrack is well known in pop culture and Broadway circles alike at this point -- especially megahits "Defying Gravity" and "Popular," which are both vocally demanding roles. Leading the cast in the national tour are Ginna Claire Mason (Glinda) and Jessica Vosk (Elphaba). Mason is a complete fit for Glinda: blonde, perky, and somehow still likeable while playing a vain, vivacious beauty queen. She's the ideal foil for Vosk's Elphaba, a sarcastic, impatient, brilliant misfit who was born with emerald green skin. The chemistry between the two witches is critical to the musical's effectiveness, and this duo is on point throughout the two-and-a-half hour production. Vosk has a set of belter's pipes that give satisfying life to Elphaba's musical numbers, while Mason's acting chops create a three-dimensional Glinda (a challenge for even the most talented actor). Other standouts in the cast include Kristen Martin (Nessarose), whose transition from sweet to bitter is rapid and chilling; Andy Mientus (Boq), who has an earnest, boyish energy; and Jeremy Woodard as bad boy with a good heart Fiyero. The ensemble, as a whole, is strong, propelling the show forward with group numbers "Dancing Through Life" and "No One Mourns the Wicked." Each scene is executed to near-perfection, with the exception of Fiyero and Elphaba's "As Long As You're Mine" number, which feels like an awkward "Phantom of the Opera"-meets-backseat of the car with its excessive stage-level fog and heavy petting. The set design by Eugene Lee is ornate and the show chock-full of special effects by Chic Silber, from a fire-breathing dragon to a levitating broomstick. Because of these elements, it's no surprise that a tech malfunction caused a cancellation of the Thursday, March 30, matinee. (An additional matinee performance has been added at 1 p.m. on Thursday, April 6, due to both popular demand and the malfunction.) There's a dark, Edwardian vibe to the aesthetic, especially gorgeous in the Emerald City scenes. Sumptuous costumes by Susan Hilferty, with wigs and hair by Tom Watson, ensure there's never a shortage of things to look at during the show. When a musical becomes as popular as "Wicked" has become, it's important audiences have a consistent experience. The national tour of "Wicked," overall, is one that remains true to its Broadway roots, even from hundreds of miles away. This is the beauty of touring productions: when the shows are good, they make wonderful stories and experiences possible for those who may not otherwise have the opportunity.